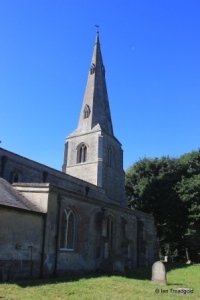 The church of St Peter in Pertenhall is situated roughly in the middle of the hamlet of Pertenhall. 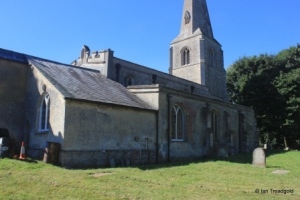 The church is away from the road and accessed via a track from the B660 Keysoe to Kimbolton Road. Parking is limited on the verge at the start of the gated track. The church consists of a nave, chancel and north aisle with a west tower and steeple. 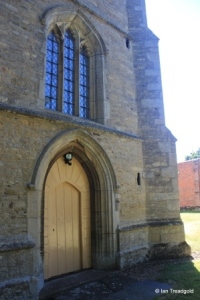 There is a south porch and vestry to the north side of the chancel. The chancel is around 29 feet by 15 feet and the nave adds some 46 feet in length and is 17 feet wide. The north aisle is about 14 feet wide and the tower around 10 feet by 12 feet and around 100 feet in height. 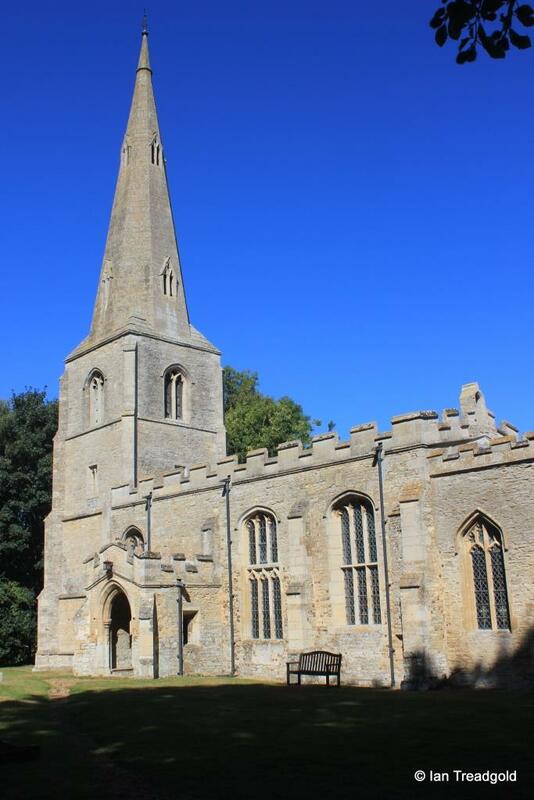 The origins of the church stretch back to C12 when it had just a nave and chancel. The original north aisle was added late in C12 with the chancel being rebuilt in C13. 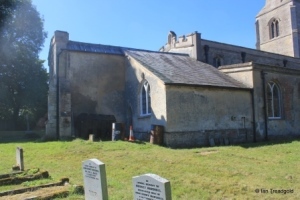 In C14 a chapel, lost by 1822, was added to the north side of the chancel and the north aisle was rebuilt in C15. At the same time the clerestory was added along with the porch, tower and spire. The opportunity was also taken to heighten the south windows of the nave. C19 restorations rebuilt the east end of the chancel in and added the vestry in place of the north chapel. 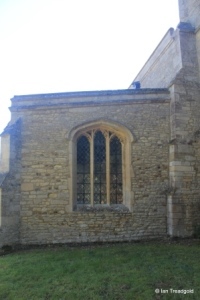 The south side of the nave has two windows to the east of the porch and a third to the west. 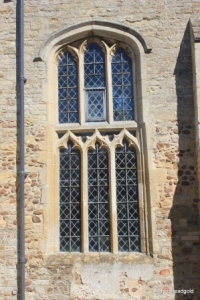 All three of the windows are tall having been extended during the C15 works. 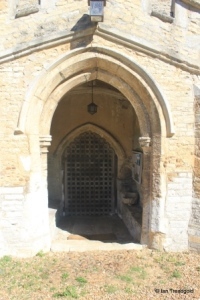 The eastern window is of three tall cinquefoiled lights with a mid-height transom under a flattened four-centred arch. 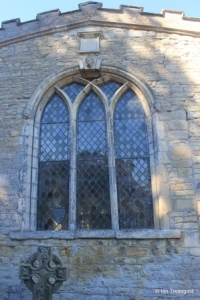 The central window is the tallest of the three on the south side of the church and is again of three lights with a transom. 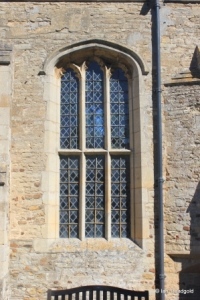 The window is effectively two windows combined; the upper part has cinquefoil heads whilst the lower is trefoiled. 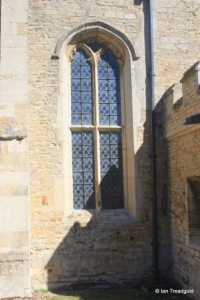 With the extensive restoration of the window, it is possible that the window gained the lower lights in the restoration. 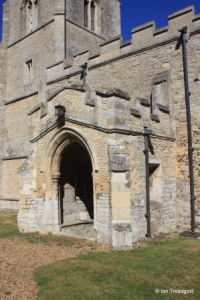 The south porch dates from C15 and, like all of the south side of the church, is embattled. 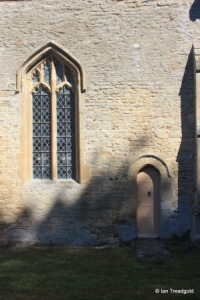 There are windows to east and west with the remains of a holy water stone in the north-east corner. 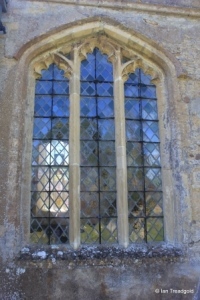 The western window of the south side of the church is of two cinquefoiled lights with a mid level transom under a four- centred arch. The tower is of four stages with an internal stair in the south-west corner of the tower. 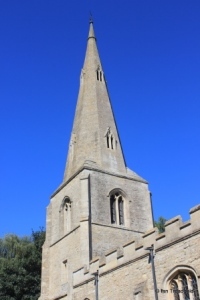 The octagonal broach spire above has two tiers of spire lights arranged to the cardinal points. 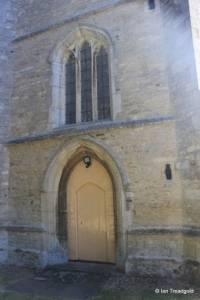 The west window is of three cinquefoiled lights under a four centred arch above the west doorway. 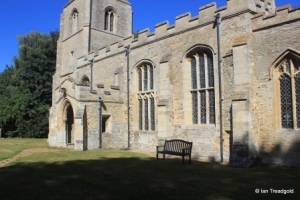 The north aisle has a west window, a north doorway and two north facing windows with a large vestry against the north side of the chancel. The west window of the north aisle is of three cinquefoiled lights under a four centred arch. 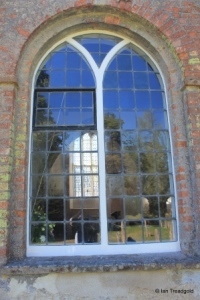 The western of the north facing windows is of three cinquefoiled lights under a pointed four-centred arch whilst the eastern dates from the 1848 restorations and is a simple round arched window with wooden mullion. 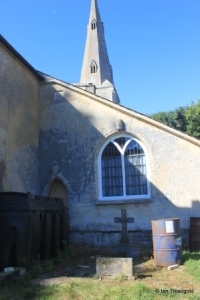 The large vestry dates from the C19 restorations and has a single east facing window and door. The east window, along with the entire east end of the chancel, was rebuilt in 1848 and is of three simple lancet style windows under a rounded arch. 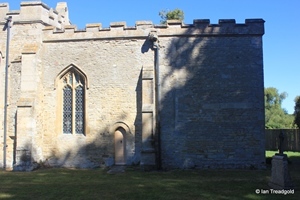 The south side of the chancel clearly shows the rebuilding of the eastern end with the remains of an earlier window on the join between old and new works. Towards the west of the chancel is a two light window with perpendicular tracery above under a pointed arch.